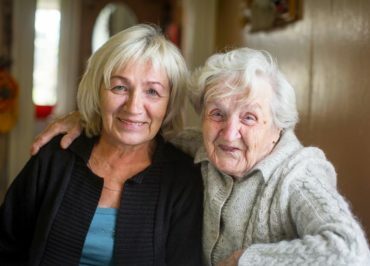 Martha & Mary AT HOME’s skilled caregivers form close bonds with their clients, offering warm companionship and a wide array of in-home, nonmedical care services, including meal preparation, transportation to appointments and medication reminders. Martha & Mary AT HOME recently received the 2019 Best of Home Care – Provider of Choice Award from Home Care Pulse. This year marks the 10th time in a row that the in-home caregiving operation, based in Poulsbo, has won this prestigious national award. The Provider of Choice Award is granted only to the top-ranking home care providers, based on client satisfaction scores gathered by Home Care Pulse, an independent satisfaction research firm for home care. Martha & Mary AT HOME is now ranked among a select group of home care providers across the country who have proven their ability to provide outstanding care. Martha & Mary has been caring for children, seniors and families since 1891. Today the nonprofit offers childcare and early learning programs, in addition to affordable senior housing options, in-home caregiving services, short-stay rehabilitation and long-term care with memory care programming. To find out more, go to www.marthaandmary.org.